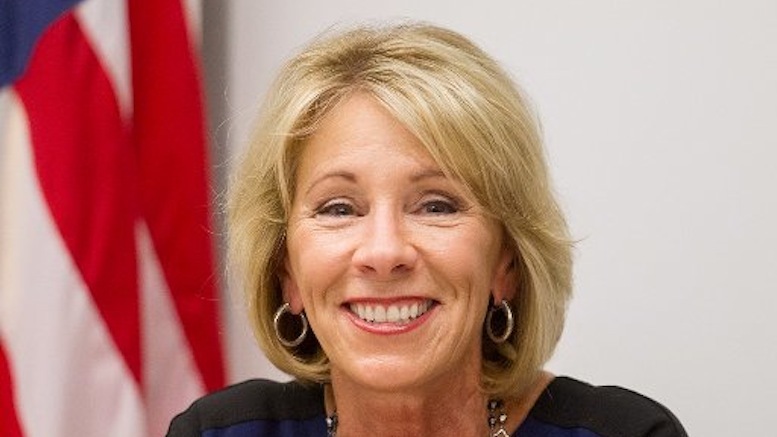 Following the release of a report saying that only half of students believe the education they receive will be useful in real life, Education Secretary Betsy DeVos pledged today to improve on that figure. DeVos is encouraged by an earlier article she found which tells her things are already improving. Asked about recent tragic incidents and guns in the classroom, DeVos said it was important to keep focused on the issues that matter. DeVos says she has proof that the education system is not failing, which she has witnessed personally even in the most troubled school districts. Be the first to comment on "Betsy DeVos Pledges To Increase Number Of Satisfied Students From Half Of Them To 50%"